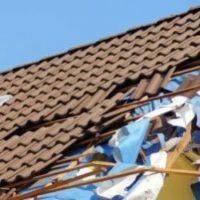 A severe storm left Greg’s home without electricity, but what he didn’t realize was that it was also left with a great deal of roof damage. His primary concern was restoring electricity as quickly as possible, so he contacted his insurance agent, along with Kelley Construction. Since Kelley Construction has ample experience in insurance restoration, our team was able to work directly with Greg’s insurance agent to ensure the entire process went as smoothly as possible. Within a matter of days, our team arrived Greg’s home, along with his insurance adjuster, to inspect the damages and evaluate the cost of the repairs. At that point, our restoration crew began restoring Greg’s home back to a safe, livable condition.